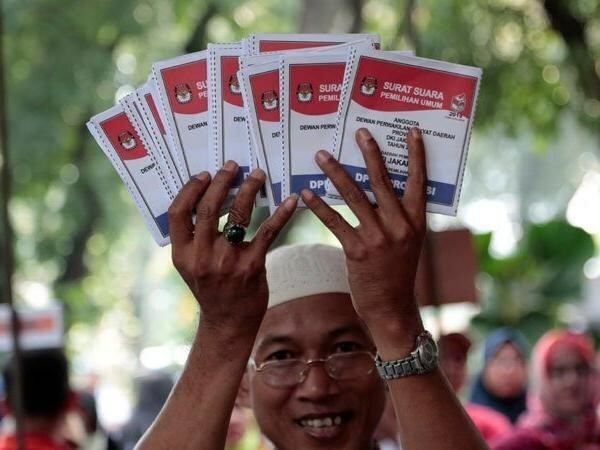 Jakarta (VNA) – Indonesia opened the polls to more than 190 million eligible voters on April 17 in one of the world's biggest single-day elections. Voting is scheduled to open at 7 am in Papua and close at 1 pm in Sumatra (local time). Voters are set to select their president, vice president and more than 20,000 legislators. For the first time, Indonesia is holding its presidential and legislative elections on the same day, with more than 245,000 candidates running for more than 20,000 seats. Unofficial early results are expected to be announced later on the day, but the final official results will be made clear by May 22.